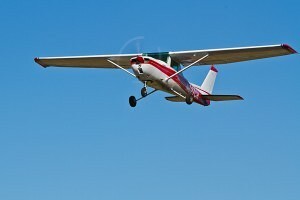 The Cessna 150 is an amazing trainer. This week, I’d like to write about a very influential airplane in my life. I am going to shift gears slightly and write about a specific aircraft instead of a type of aircraft… N827CH. N827CH is a 1976 Cessna 150. It is the airplane I did my initial training and received my Private Pilot’s License in! I love this airplane and I actually think it is one of the coolest ones out there (I think I say that about a lot of planes…). This particular airplane has a long history with me. Before I learned to fly, 7CH was a derelict that sat out on the ramp at Skypark Airport in Bountiful, Utah. It was then known as N66676… To my knowledge, it never flew and I’m sure would have sat out there for the rest of its days had a certain incident not occurred. This incident was an unfortunate (or fortunate, depending on your perspective…) mishap with a helicopter. The helicopter had a piece fly off and soar across the runway putting a cannonball-sized hole in the aft section of the fuselage. I’m sure many people saw that airplane and thought its days were over. Not my dad! My dad bought this airplane and took it into the Sick Airplane and Refugee Camp known as Aero Services LLC. Eventually, we squeezed this poor soul into our garage at home and began to work on it. I have many memories as a kid learning how to strip paint off of the metal and bucking rivets on the new skin for the fuselage repair. My dad oftentimes takes sad old airplanes and saves them, turning them into beautiful flying machines. This was no exception. After the repairs were finished, 7CH got a brand new paint job, a new interior, and a new instrument panel. The once-thought derelict had transformed into an amazing little trainer. Since this bird’s return to the skies, it has taught dozens of local pilots to fly. Eventually, as I said before, I would learn to fly it. The many lessons I learned in it have taught me so much. 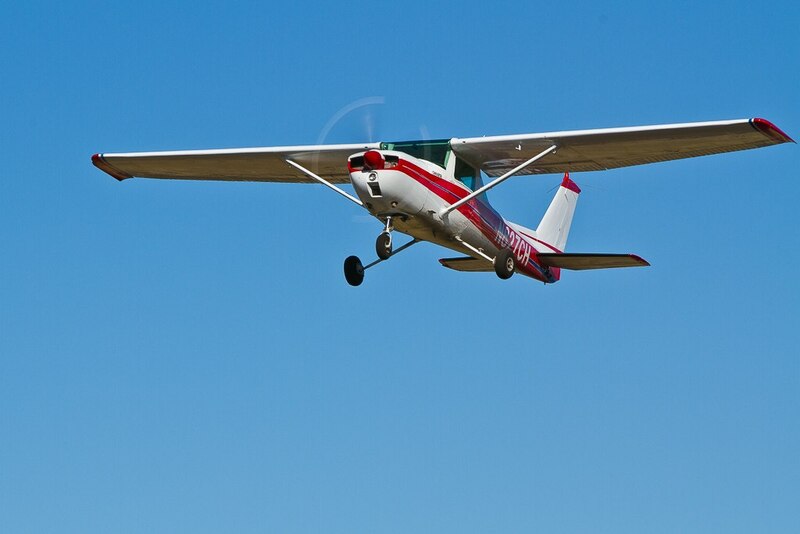 Introduced in 1958 the Cessna 150 was in production for nineteen years! Nearly 24,000 were built, as it is the fifth most produced civilian aircraft ever designed. It was primarily designed as a trainer and its operating cost provides inexpensive flying for anyone who wants to learn to fly or just wants to fly recreationally. Learning to fly in the Cessna 150 was a great experience. Not only did I learn to takeoff, maneuver, and land, but also essential principles including power management, density altitude, weight and balance, and many more. Here at Bountiful Skypark the elevation is 4,234 feet. At high altitudes such as this, the Continental O-200 100hp engine just doesn’t quite have the gusto that it would at sea level. As a result, you learn to take density altitude into consideration (especially on a hot day!). With a 1,600 pound gross weight, you learn weight and balance. You learn that if you have a passenger and some bags, you may not be able to top off with fuel (definitely not in 7CH as it has long range fuel tanks…). All of these are crucial lessons for pilots to learn. While it may be simple and easy to fly, there are endless amounts of lessons to be learned in the 150. Cessna does a pretty amazing job at designing the best (in my opinion) airplanes that money can buy. They do the job at hand and they look good doing it! Check out the cool Cessna 150 available via Amazon. Read your story after hearing this plane made an off field landing. Looks like it saved the crew, but also looks like a total loss.